"$100,000 Challege to Prove us Wrong!" or the Green House Effect... 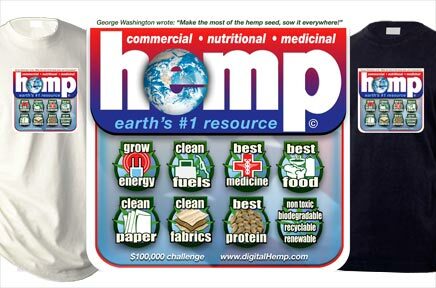 Choose One!Hemp History: The first and second drafts of the constitution were written on Hemp paper as were all books and bibles. Betsy Ross made our American Flag, Old Glory, from cannabis fibers. Canvas is the Dutch pronunciation of the Greek Word Cannabis. 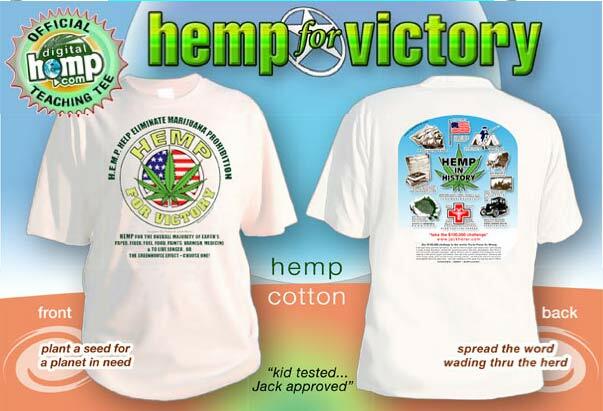 Cannabis covered wagons went west. Cannabis outfitted ships... the sails, ropes, paints and varnishes, sealents, lamp oils and 50,000 other clean products. 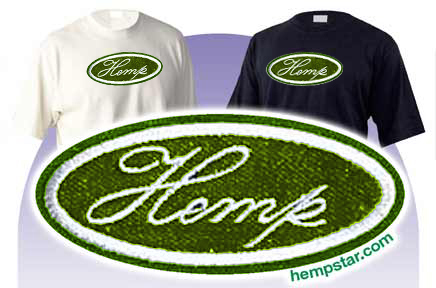 Henry Ford ran 40,000 vehicles on hemp fuel from only 10,000 acres. The emissions are what you exhale, and next years crop is reconverting it back to oxygen... Thats a natural cycle fuel! Best of all... the money stays in the good old US of A.